The University of the Fraser Valley soccer teams embark on their post-season journeys this weekend, and both will do so on the road. The Cascades men’s team, the No. 3 seed out of the Pacific Division, is off to Saskatoon to face the Saskatchewan Huskies, the No. 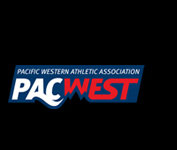 2-seeded team from the Prairie Division, in the crossover quarter-finals for the right to advance to the Canada West Final Four. The UFV women’s team, meanwhile, plays much closer to home. They’re part of a quarter-final quadrant playing out of Trinity Western University in Langley this week. The Cascades, seeded No. 5 in the Pacific, take on Prairie No. 4 Mount Royal in the first round on Thursday evening, with the winner advancing to face the host Spartans (Pacific No. 1) in the quarter-finals on Saturday. The Cascades are the lower seed this weekend, but it’s hard to call them an underdog; they defeated the Huskies earlier this fall by a score of 1-0 back on Sept. 22 in Abbotsford. UFV played a man down for much of the second half, but pulled out the victory on Gurmaan Jhaj’s free kick in the 89th minute. UFV bench boss Tom Lowndes knows that the playoffs are a different story, though, especially going on the road to face the Huskies this time. Moreover, Saskatchewan comes in riding a three-game win streak which earned them home-field advantage for the quarter-finals. Players to watch: Gurmaan Jhaj has been the engine that’s driven the Cascades’ offence this season. The fourth-year forward from Aldergrove, B.C. shattered the team record for goals in a season with 13 (the previous mark was eight), and he ranked second in Canada West in goals and third in points (15). He’ll look to reprise his heroics from the earlier match-up with Sask. The Huskies’ balanced attack was led by freshman forward Nikolas Biakas, whose 10 points (four goals, six assists) were tied for sixth-most in CW. 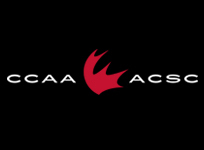 Thursday, Oct. 25: Cascades (5-5-4) vs. Mount Royal Cougars (6-6-2) at Trinity Western, 6:30 p.m.
Saturday, Oct. 27: Cascades-Cougars winner at No. 1 Trinity Western Spartans (12-2-0), 5 p.m.
For the second straight season, the Cascades find themselves playing in a quarter-final quadrant at TWU. Last year, UFV defeated the Lethbridge Pronghorns 1-0 in the opening round, only to fall to the host Spartans by an identical 1-0 score in the quarters. Like the Cascades men, the women’s squad has first-hand familiarity with their first-round opponent. They hosted the Cougars on Oct. 12, and earned a 1-0 victory on Harneet Dadrao’s goal in the 79th minute. 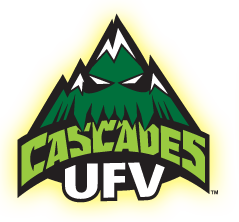 Should they outlast the Cougars, the Cascades’ reward would be to face a TWU side that’s No. 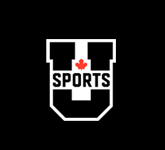 1 in the U SPORTS national rankings. Players to watch: Cascades fourth-year forward Brittney Zacharuk was red-hot throughout the second half of the regular season, finishing tied for second in the conference in goals (nine) and third in points (15). The Delta, B.C. product had four multi-point performances over her last seven games. The Cougars’ offence is led by midfielder Janai Martens, who paced the squad with five goals this season.